A researcher at the Veterans Affairs Greater Los Angeles Healthcare System has pinpointed how vitamin D3 works with some of the body's cells to help clear the brain of amyloid beta, the main component of plaques that are seen in Alzheimer's disease... An abstract of the study is available under the "pages 51-62" section on the Journal of Alzheimer's Disease website at www.j-alz.com/issues/29/vol29-1.html. A new GI Bill program, now known as Veterans Retraining Assistance Program (VRAP), will offer up to 12 months of Montgomery GI Bill benefits for older unemployed veterans. The program is part of the VOW to Hire Heroes Act which also includes tax breaks for companies that hire veterans. That means that pre-9/11 veterans who often feel left out, may soon qualify for as much as $17,600 ($1473 a month) for education and training. Learn more about this new VRAP retraining and education benefit . A recent study has found that older men treated for cancer do as well or even better in a Veterans Health Administration (VHA) hospital than men covered by Medicare. Researchers said this may be a result of massive changes in the organization of the VHA that started in the mid-1990s, which made patient care more coordinated, strengthened preventive care and allowed medical mistakes to be spotted faster. An abstract of the study is available on the Journal of Clinical Oncology website . Rep. Jeff Miller (R-Heartless), Chair of the House Committee on Veterans' Affairs, wrote that the reality of sequestration -- the congressionally mandated cuts that will automatically occur later this year due to the Joint Select Committee's failure to find $1.2 trillion dollars in deficit reductions -- is about hit home for veterans. "As it stands right now, sequestration of government programs is imminent." Miller's concern goes beyond the issue of how this will impact our national defense, Miller is worried (Yeah, right... then do something, would ya now?) that an ambiguity in the law could be used by the Office of Management and Budget to cut as much as two percent from the VA's Healthcare budget despite Congress' intent to protect VA from sequestration. 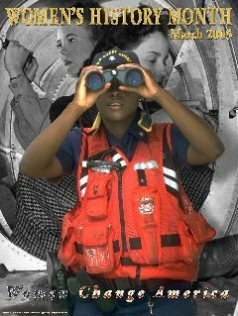 March is Women's History Month, and a commemorative poster can be downloaded from the Defense Equal Opportunity Management Institute website. For more information on Women's History Month, including educational materials, visit the Military.com History Center, the Library of Congress website, the National Women's History Project website, the U.S. Census Bureau website, the Department of Defense Women's History Month webpage, and the History.com website. "I'm not afraid of storms for I am learning how to sail my ship"
The House Subcommittee on Disability Assistance and Memorial Affairs (DAMA) held an oversight hearing to examine the current state of our National Cemeteries. The National Cemetery Administration (NCA) has come under fire recently due to a series of audits revealing, to date, over 240 mismarked or unmarked graves and 8 veterans or their loved ones buried in the wrong place at 13 cemeteries nationwide. Officials reviewed NCA's progress in mending the harm revealed by the national audit, as well as to review measures taken to ensure greater accountability. The committee was told that the new leadership at Arlington and the NCA are making significant strides in addressing the issues found during the recent audit. The Department of Veterans Affairs (VA) recently introduced a budget proposal that would amount to a 10.5 percent increase in funding for veterans care and benefits. Watch VA's Chief Financial Officer break down the budget on YouTube. Understand the VA Loan benefit you've earned by downloading the free Military.com VA Loan Guide. The PDF guide walks you through the benefits of a VA Loan, eligibility, how to refinance, what forms you'll need, and more. Download your free PDF now. Many states offer veterans benefits. These benefits may include educational grants and scholarships, special exemptions or discounts on fees and taxes, home loans, veteran's homes, free hunting and fishing privileges, and more. Each state manages its own benefit programs. View the full summary by state here. Persian Gulf Claims Deadline Extended Important! The Department of Veterans Affairs has extended the presumptive period for Persian Gulf War veterans to file claims for undiagnosed illnesses. The new deadline is Dec. 31, 2016. The Department of Veterans Affairs estimates that 25-35 percent of veterans of Desert Shield/Desert Storm have undiagnosed and chronic multi-symptom illnesses, such as chronic fatigue syndrome, fibromyalgia, irritable bowel syndrome and concentration problems. For more information, visit VA's Gulf War Illnesses website . The Department of Veterans Affairs has deployed 20 additional Mobile Vet Centers. These customized vehicles travel to communities to extend VA's reach to veterans, service members and their families, especially those living in rural or remote communities. VA has 300 Vet Centers across the country offering individual and group counseling for veterans and their families, family counseling for military related issues, bereavement counseling for families who experience an active duty death, employment assessment and referral, VA benefits explanation and referral, screening and referral for medical issues and other services. To find out more about Vet Center services or find a Vet Center in your area, visit VA's Vet Center web page at www.vetcenter.va.gov. Unfortunately, many veterans must deal with PTSD stereotypes that surround wartime service. To learn more about how these stereotypes persist, and what can be done to stop them, read the Department of Veterans Affairs' (VA's) VAntage Point blog. eKnowledge continues to donate their world-class SAT and ACT College Test Preparation Programs to military servicemembers and their families. Eligible recipients include Active Duty, Guard and Reserve Service Members from all branches of the military, Military Retirees, Veterans, in addition to all DoD employees and civilians performing military support and relatives and dependants of anyone who otherwise qualifies from the prior list. There is a nominal charge of $13.84 per standard program for the cost of materials, processing, distribution and customer service. eKnowledge does not profit from this venture. The U.S. Housing and Urban Development (HUD) and the U.S. Department of Veterans Affairs have announced that HUD will provide $2.4 million to public housing agencies to supply permanent housing and case management for homeless veterans in the U.S. The funding will support 435 vouchers in 18 communities. Veterans participating in the HUD-VASH program rent privately owned housing and generally contribute no more than 30 percent of their income toward rent. For more information, visit VA's Homelessness HUD-VASH webpage and the HUD-VASH Vouchers webpage and Questions and answers page . Veterans who run or are considering starting their own companies should check with their local colleges and Small Business Development Centers to see if they offer training specifically for veterans. At 16 Veterans Business Outreach Centers, the Small Business Administration (SBA) offers veterans business plan workshops, mentoring, and feasibility analysis. For more information, visit the SBA website and the Veterans Outreach Center page . The Department of Veterans Affairs has entered into agreements to provide more than 3,000 units of permanent and transitional housing for veterans at 25 VA medical center campuses nationwide. Also, agreements are pending on 1,000 more units. Proposed opportunities include housing for homeless veterans, senior veterans, disabled veterans, other at-risk veteran populations, and their families. Make the Connection, a new campaign launched by the Department of Veterans Affairs, is creating ways for veterans and their family members to connect with the experiences of other veterans -- and ultimately to connect with information and resources to help them. The Make the Connection web site at www.MakeTheConnection.net, features numerous veterans who have shared their experiences, challenges, and triumphs. The U.S. House of Representatives has passed the 2012 Cost of Living Adjustment (COLA) for veterans receiving compensation for service-connected disabilities. The COLA also affects the rates for military retirees, Social Security recipients, and the dependency and indemnity compensation for survivors of veterans who died as a result of service. Although Congress has passed a COLA every year for veterans since 1976, there has not been an increase in the rate since 2009. The 3.6% COLA increase will go into effect on December 1, 2011, once the legislation is signed into by law by the President. The Department of Veterans Affairs (VA) has launched its new "VA for Vets" web site, with an online job search board, self-assessment tools, resume builder and military skills translator to help veterans identify jobs that match their skills. The new web site currently has over 3,000 jobs listed. Hundreds of top national and global employers are actively seeking veterans and those with military experience. See a full list of employers and start applying . Meeting the right people can make the difference in your next job search. The Military.com Veteran Career Network can connect you to over 1 million veterans working in companies, government agencies, career fields, industries or locations that interest you. Search for veterans willing to help with your job search and career . Chronic obstructive pulmonary disease (COPD), also known as emphysema or chronic bronchitis, is the third leading cause of death in the US. It also affects 15 percent of veterans. Learn how VA researchers are tackling the problem at the VA VAntage Point Blog . The Department of Veterans Affairs (VA) is providing free meals and spending money to eligible homeless veterans. The free meals will be offered at Veterans Canteen Service (VCS) cafeterias to homeless Veterans attending their first VA medical appointment. New veterans participating in the Housing and Urban Development and VA Supportive Housing program , who present signed leases will also receive a $20 coupon to be used in VCS retail stores located at every VA medical center. For more information on VA services available to homeless veterans, visit the VA Homeless Veterans webpage. As the population of female veterans continues to grow, it is important to realize the unique challenges they face. Listen to their stories of service in their own words on the Department of Veterans Affairs (VA) Stories of Service webpage . November is National Family Caregiver Month. The Department of Veterans Affairs (VA) is encouraging every VA employee to identify and recognize Family Caregivers at their facility. VA's Family Caregivers take on a daily burden to provide care for some of the most ill or severely injured veterans who have served our Nation. To learn more about Caregivers and how the Department of Veterans Affairs is working to enhance our services for them, visit the VA Caregiver Support webpage. The Post-Traumatic Stress Disorder (PTSD) Coach smartphone application, jointly developed by the Department of Veterans Affairs (VA) and the Department of Defense (DoD), was recently honored as one of seven recipients of the Federal Communications Commission (FCC) Chairman's Awards for Advancements in Accessibility, which encourages technological innovation in communication-related areas. Information on the PTSD Coach app is on the VA's National Center for PTSD Website . Veterans Report - How Do I Get My DD214? A required first step in the VA loan process is obtaining a Certificate of Eligibility* * Link pulled at the request of directvaloans dot com, a website that cares more about their google rankings than actually helping vets. (COE). COE can be obtained through a VA-approved lender or online. The COE provides information to the VA-approved lender about the eligibility and entitlement of each borrower. For more details on how to obtain your COE, as well as more tips for obtaining a VA loan, visit the VA Loan blog . The Department of Veterans Affairs (VA) has automated its online Health Benefits Renewal (10-10EZR) form. Previously, veterans filling out the online 10-10EZR were required to print a copy, sign it and send it to their local medical center before updates to their personal, insurance or financial information could occur. Veterans may now submit these updates online. For additional information, visit the VA Health Eligibility homepage or call VA's toll-free number at 1-877-222-VETS (8387). The online form is available on the VA website ( pdf. format). 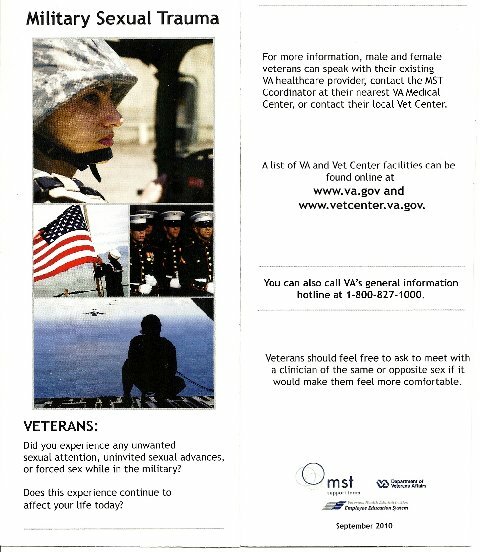 Veterans Report - Important Medical Info! Attention Vietnam Veterans (and/or spouses and surviving spouses)! If you believe you or your spouse were exposed to Agent Orange, I urge you to go this link and read it. You may be eligible for significant compensation if you suffer from any of the 'presumptive conditions'. Surviving spouses are also eligible. The VA is working very hard to help Vietnam Vets with medical care and compensation that were exposed and now have significant health issues. If in doubt, find a service officer from any veteran's organization, e.g. DAV, VFW, American Legion etc, and FILE A CLAIM! Researchers at the University of Hull in England believe they have found a treatment for people with Gulf War Syndrome. Dr. Stephen Atkins and his team at the Hull York Medical School are pioneering the treatment. Of the 11 veterans with Gulf War Syndrome sent to the infirmary, "nine were diagnosed with a rare problem with their pituitary gland which led to a deficiency of certain hormones, such as testosterone and thyroxin. Compensated Work Therapy is a program that provides employment counseling, training and assistance to veterans who qualify. Rep. Michelle Bachmann (R-Harridan) recently announced (evil) plans to rein in federal spending, in part by cutting $4.5 billion from the Department of Veterans Affairs -- specifically disabled veteran compensation. This sent shock waves through the veteran community. In response, veteran's service organizations, including the VFW and AMVETS, issued statements condemning her plan (and calling her all manner of bad names, I'll bet) for stripping away the support disabled veterans count on, especially during a time of war. On Feb. 4, the Harridan released a statement backing off her (evil) plan to cut any portion of the Department of Veterans Affairs budget. The Department of Veterans Affairs (VA) has announced the creation of a new Office of Tribal Government Relations to ensure veterans who are American Indians, Alaska Natives, or Hawaiian Natives or are part of the Alaska Native Corporations receive the VA benefits they have earned. About 200,000 veterans represented by the 800 tribal governments will be served by this new office. For more information, visit the VA's Office of Tribal Government Relations webpage . On February 1, the Department of Veterans' Affairs (VA) launched the National Caregiver Support Line. The toll-free number (1-855-260-3274) is available to family members, loved ones, or friends who provide care for Vets living with the effects of war, disability, chronic illness, or aging. For more information, visit the VA Caregiver Support webpage. The Department of Veterans Affairs (VA) recently awarded a contract to the Green Building Initiative (GBI), a nonprofit organization dedicated to the acceleration of sustainable building practices, to provide online, green building self-evaluations for 173 hospital facilities using Green Globes -- Continual Improvement of Existing Buildings (CIEB) environmental rating and assessment tool. The Department of Veterans Affairs (VA) is creating a new office to develop personal, patient-centered models of care for veterans who receive health care services at more than 1,000 VA points of care across the nation. The new VA Office of Patient Centered Care and Cultural Transformation began operations on Jan. 17 and is based in Arlington, Va.
Congress has established the Military Leadership Diversity Commission (MLDC) to study the role of women in combat. The commission's report is expected in March and will include its findings and conclusions, as well as its recommendations for improving diversity within the armed forces. Members of the military community have the opportunity to join or otherwise benefit from several types of associations and organizations. Ranging from fraternal to charity, these military-specific organizations can provide advocacy, help you network to access job opportunities, tap into benefits, lobby congress, or find support. "Blue Button" capability allows veterans to download their personal health information from their MyHealtheVet account. Having control of this information enables vets to share the data with health care providers, caregivers, or people they trust. Download yours now at www.myhealth.va.gov/. According to the Department of Veterans Affairs, veterans and their families may be eligible to receive unclaimed funds totaling at about $33 million that have accumulated since the beginning of the VA insurance programs in 1917. Veterans' families are urged to check if they are eligible at the VA's Unclaimed Funds webpage . The Department of Veterans' Affairs (VA) Deputy Undersecretary for Disability Assistance, Tom Pamperin, has broken down the disability claims process to make it easier for veterans. For more information, read Deputy Undersecretary Pamperin's blog on the VAntage Point website. A new study suggests that female veterans of Operation Enduring Freedom (OEF) and Operation Iraqi Freedom (OIF) are at increased risk of developing mental health disorders during pregnancy. The Department of Veterans' Affairs' (VA's) new "Families At Ease" program attempts to reach new veterans through their concerned family members and provides information and support to help them access VA facilities for services and benefits. The American Legion has launched a two-month, worldwide online survey in an attempt to find out why only about 25 percent of women veterans are using the VA health-care system. The nonprofit veterans group U.S. VETS has launched a project to identify and treat combat veterans suffering from post traumatic stress disorder (PTSD). According to the organization, nearly 20 percent of all veterans returning from Iraq and Afghanistan suffer from PTSD, but only 40 percent seek treatment. The new PTSD outreach program will be staffed and further developed in January and will initially be run out of the U.S. VETS site in Long Beach, Calif. The Department of Veterans' Affairs (VA's) growing backlog of undecided benefits claims continues to affect hundreds of thousands of veterans nationwide. Veterans and their families are urged to help the American Legion by filling out a confidential online Regional Action Office Review (ROAR) survey . The completed surveys will be reviewed by American Legion Veterans Affairs & Rehabilitation staff in order to provide a clear picture of the situations at VA Regional Offices across the country. Those who fill out the survey will be asked if they are willing to discuss their cases further with American Legion National Headquarters media staff. The New Year can often bring stress, anxiety and depression. As a veteran or a family member or caregiver for a veteran, you are never alone; VA professional counselors are just a phone call away at 1-800-273-8255. There also are online chat capabilities at the National Suicide Prevention Lifeline website . You can call your local VA medical center to speak with the health care team. You also can contact the main social work office of the medical center to get assistance. Find your local VA medical center at www.va.gov/directory.